Quick, what do you think when you hear the term capability model? Me? When I hear capability model I think competence, competence naturally leads me to motivation. So, capability model, to me, represents a human capital knowledge, ability, and skills framework. Over the past three years I began to hear of a capability model spoken by others? These others, initially within information technology, speak of a capability model to mean organization or business capability. Often those who think capability model think people, process, and technology to deliver customer and stakeholder value. 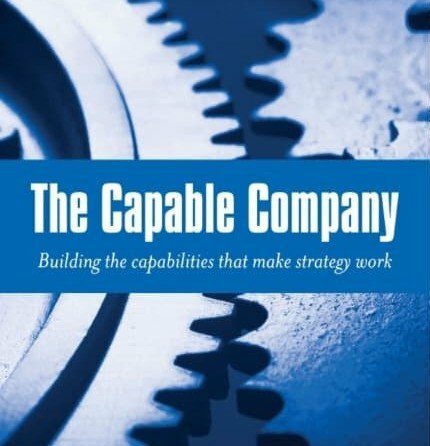 The Capable Company: Building the capabilities that make strategy work by Richard Lynch, John Diezemann, James F. Dowling is about business capability. The holy trinity of people, process, and technology is always divided by behavior and that, my architect friends, brings me back to human capital. Me? Business capabilities must exist in every aspect of the business. Feels like systems theory to me. 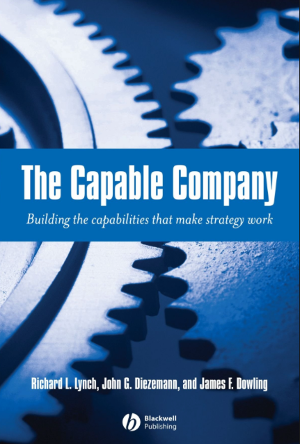 How does a business have a capability? What is a capable company? I aim to find out and this book comes to me through one of the co-authors, himself, Richard Lynch. In a strategic plan, the devil is always in the details and execution the competitive advantage. I am always willing to learn more about that. Strategy and design without behavior are merely interesting wall charts. We hope that capabilities will help the organization realize strategy. But capabilities and competencies are mere potential until they are demonstrated in people’s choices and eventually their routines. As you point out, anyone can have an idea, not everyone can follow-through with what to do, when to do it, and how to do it. Executives decide what and why and they rely, nay demand, others handle the who, where, when, and how much. Those teams that can answer deliver results, those that don’t divorce executives from reality. Thank you for your contribution to the above thoughts and through the site and web. It is always great to run across an article we have both replied to or recommend.